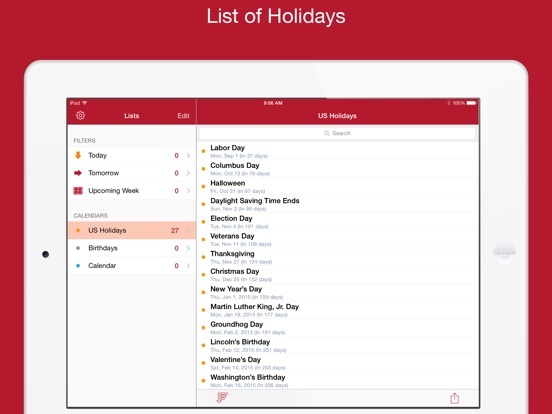 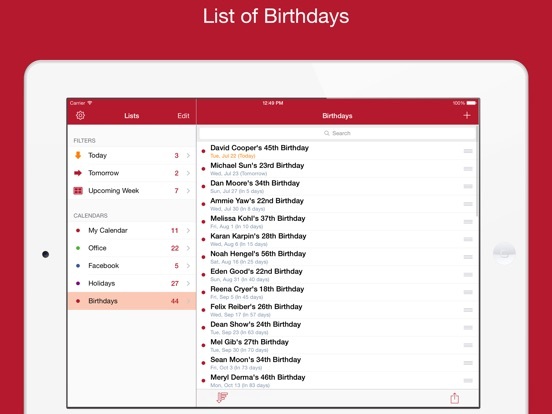 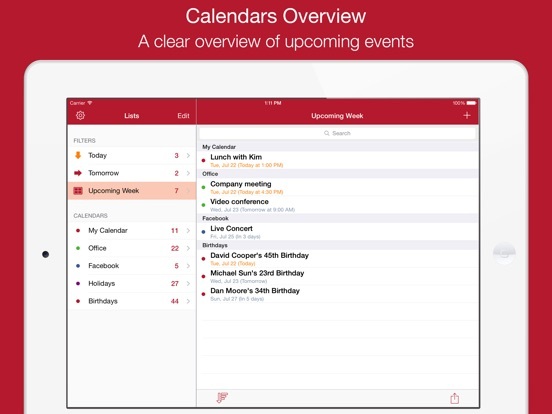 The most intuitive and simple - yet powerful calendar app. 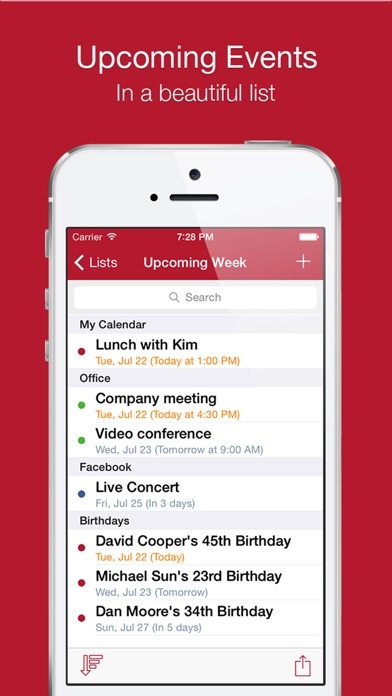 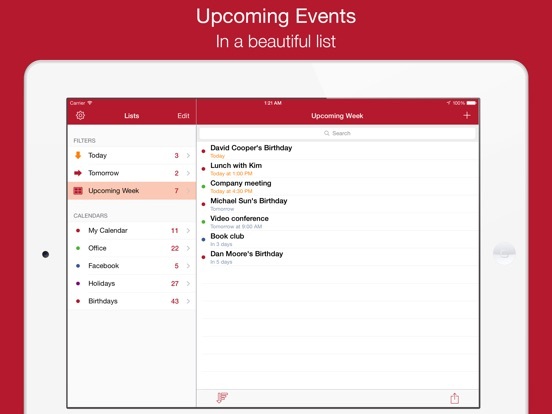 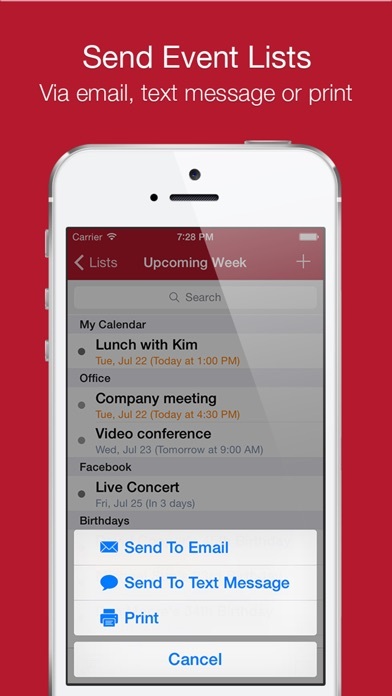 Easily manage your calendar events with this app. 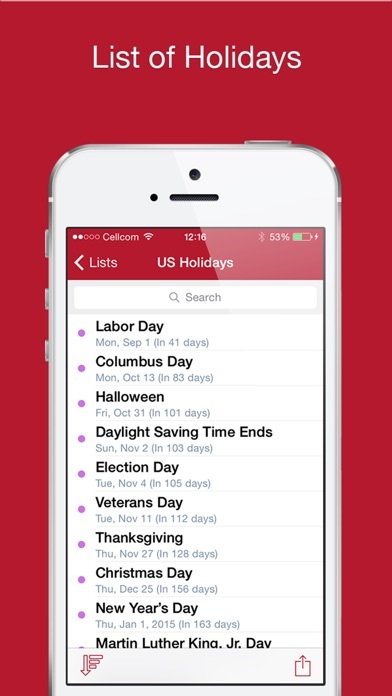 ● A beautiful list of upcoming events. 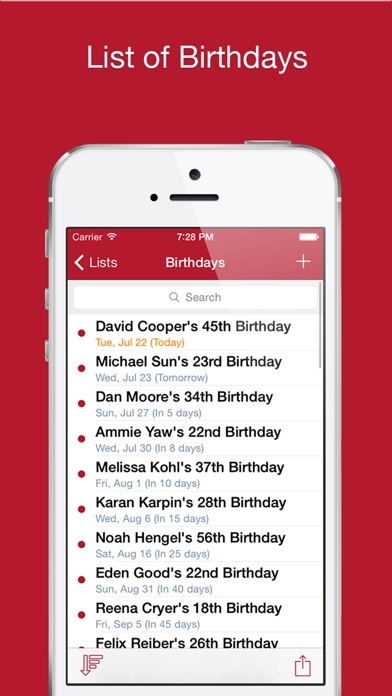 ● List of Holidays & Birthdays. ● Send you event lists via email, text message or print. 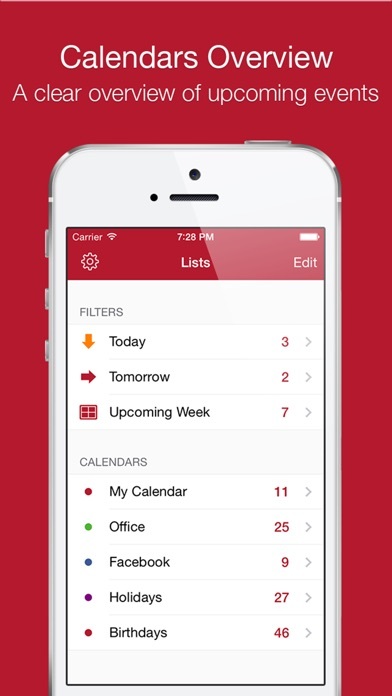 Fixed bugs and improved performance.